In Memory of Jim Adema The Inventory of the Liquid Cooled Snowmobile. As True Blue is introduced to the world.My goal is to create a Custom sled to honor the Tinker in us all. The Start Jet 2 +2 is morfed in to the 73 SST Track Comp Retro 2 (R2). The Fomer Petro Classic Auto Sled is modified with Jim Adema style ENDO Pipes and Mikuni carb replaces the Tilitson and I upgrade to Read cage design. I hold off on luquid cooling for now. Just Up graded paint skis and Engine mods with Mild Heads and Electric start I may add a solar paanel to charge the battery to show a bit of ingenity. Solar Panel on a race sled Thanks OBAMA. I met Patty Sennecker this year a small town race hero from the 70's who challenged the establihment in Factory racing aginst the big Giants. Aluminum Race Thunderjet skis. Custom Tank. Hitect Designs and Peartree Studios has selected to add Stainless steel rolled panels and some hood pins, Resurfing as a neat little race sled this will jion its big brother WEX2015 R1 PCH XCR 800 at the local races. Will sport a new Clutch to launch better this year. Many New Venders supporting this build. We fix them ,We ride them, We race them! Our Sketch comes to live in 5 days. I like to take gentle used machinery and breath a new life in to the once glamerous machines. 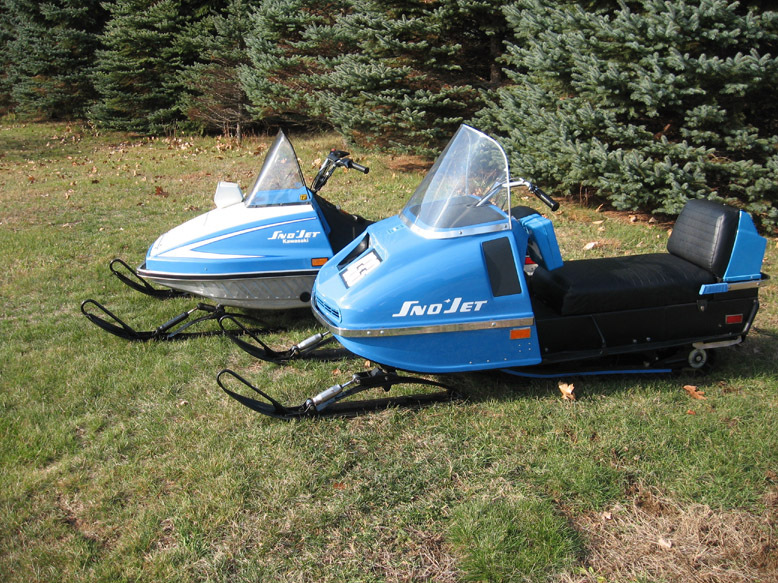 Like these 1977 and 1973 Sno -Jets. 1999 Polaris XCR 800 Done ready Swap or Show. 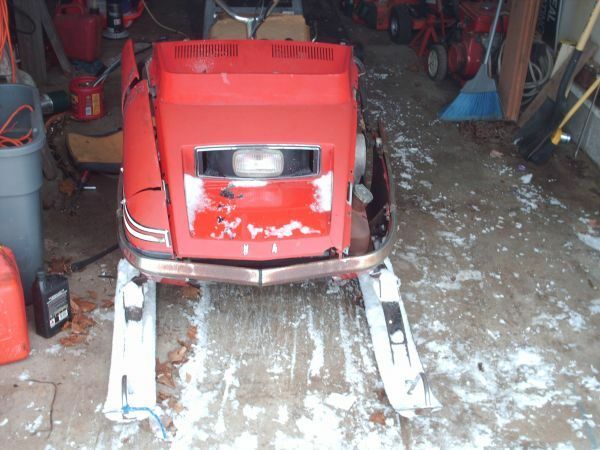 1977 Sno -Jet SST 440 Ready for Swap or Show.